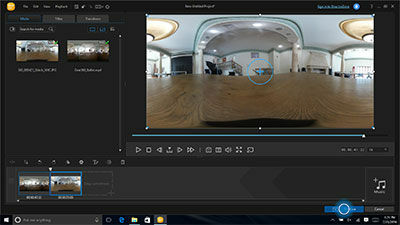 Gear 360: How do I use the Gear 360 ActionDirector software? The Gear 360 ActionDirector is a video editing program that helps you create high-impact, pro-looking videos. Note: The information provided is for devices sold in Canada. 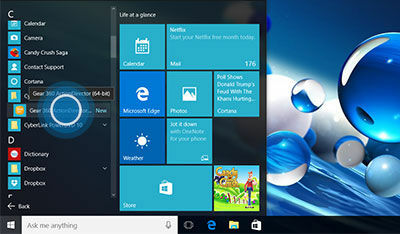 Settings, menus and screens may differ for products sold in other countries. 3. 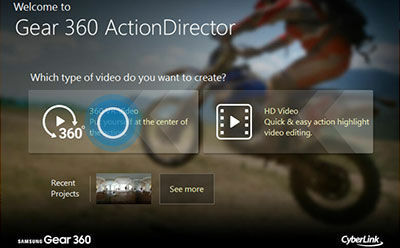 Scroll to and click CyberLink Gear 360 ActionDirector. 4. Click Gear 360 ActionDirector. 5. 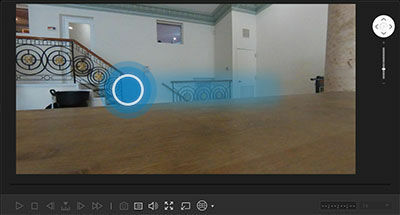 Click 360 VR Video. 6. Enter the product key. The product key is on a sticker provided with the Samsung Gear 360, inside the product box. Then, click Next. Important: If you lose the product key, the Gear 360 ActionDirector program cannot be used. The product key can be replaced for a fee. 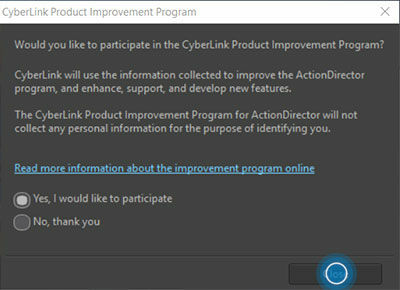 8. Review the information on the CyberLink Product Improvement Program. Then, select Yes, I would like to participate or No, thank you and click Close. 9. You can register your Gear 360 ActionDirector. 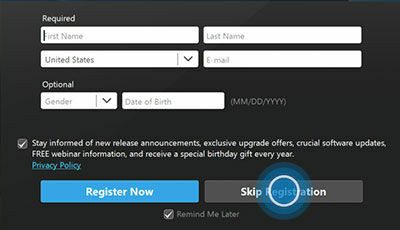 For this example, click Skip Registration. 10. To finish the setup, click OK.
6. Click the Import icon. 7. 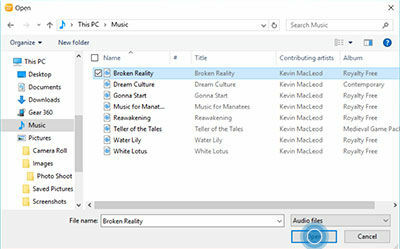 Click Import Media Files. 8. Select the file(s) you want to import. Note: Importing photos and videos also stitches them together. 6. To change the view, click and drag the preview in any direction. 7. 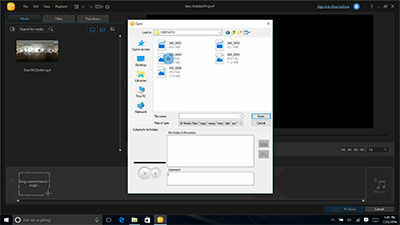 To produce a video, click and drag the desired files into the timeframe. 8. 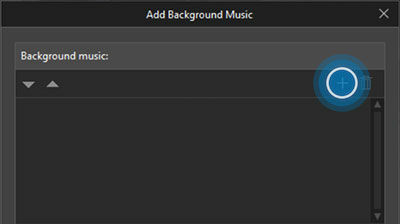 To add background music, click Music. 9. Click the Add icon. 10. Select the desired file. Then, click Open. 11. You can adjust the background music's settings. To add the background music, click OK.
12. To create the video, click Produce. 13. 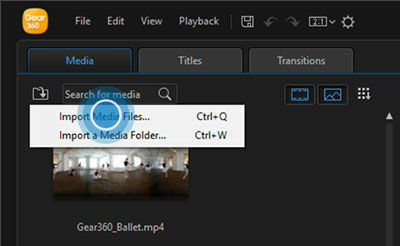 You can select the format and quality of the video produced. Click the setting below Profile name/Quality. 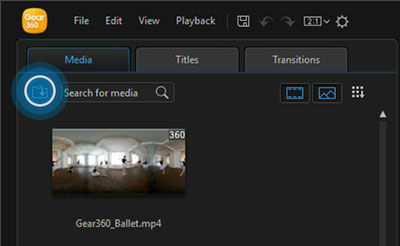 Note: To produce videos to upload to Facebook or Youtube, click the Online tab. 14. 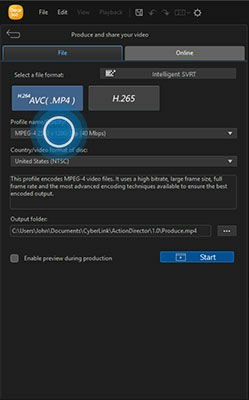 Select the desired video quality. 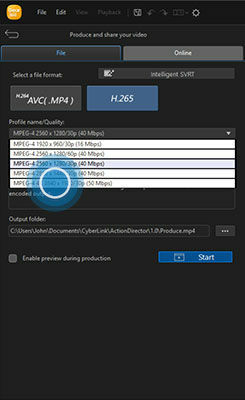 For this example, we selected MPEG-4 4K 3840 x 1920/30p (50Mbps). 15. 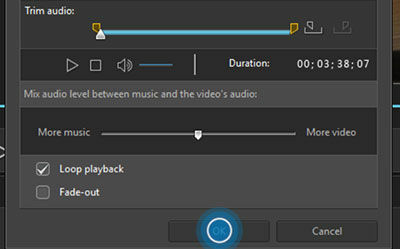 To begin producing the video, click Start. 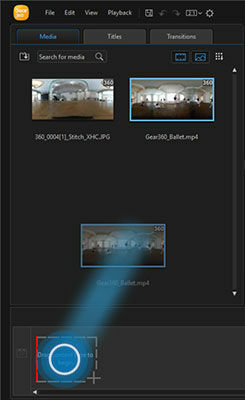 Note: Depending on your computer's hardware and the length of the video, the rendering time may vary. 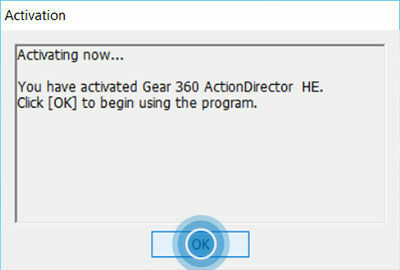 Gear 360: How do I install the Gear 360 ActionDirector software?